Kuwabara and Yusuke arrive in the demons' castle only to be greeted by hundreds of zombies. Outnumbered by this monsters both Yusuke and Kuwabara are knocked down, but just then a strange light blinds the zombies off. 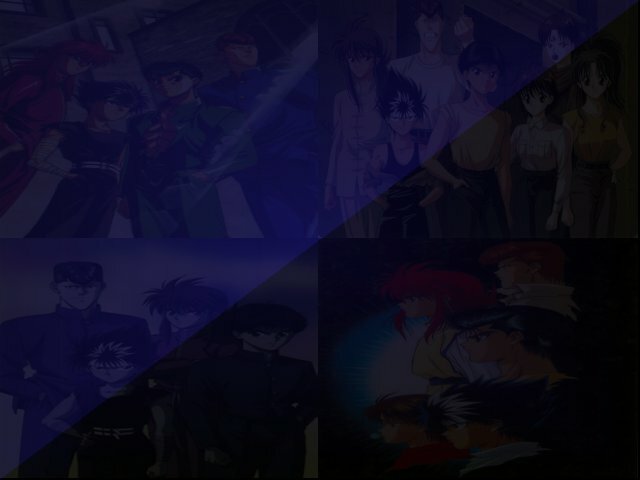 We then see two familiar faces, Kurama and Hiei, and they are out to help Yusuke by orders of Koenma in this quest. They quickly get along with each other, as Yusuke introduces Kuwabara to the two. Hiei challenges Yusuke to another showdown once this thing is over, but then Kuwabara breaks in, and seeing how short (literally) Hiei is he starts to taunt Hiei... and a little misunderstanding arises (here starts their long-running hatred with each other).. as Yusuke breaks the one-sided brawl (with Hiei using his speed to evade Kuwabara's attacks).